With our current emphasis on technological based interaction, the modern letterpress printed calling card can be a much needed token of authenticity. Hoban Cards is a tiny shop in Washington State producing custom letterpress printed cards and stationery items. They offer a selection of over 30 minimal layouts with an empasis on great typography and affordability. 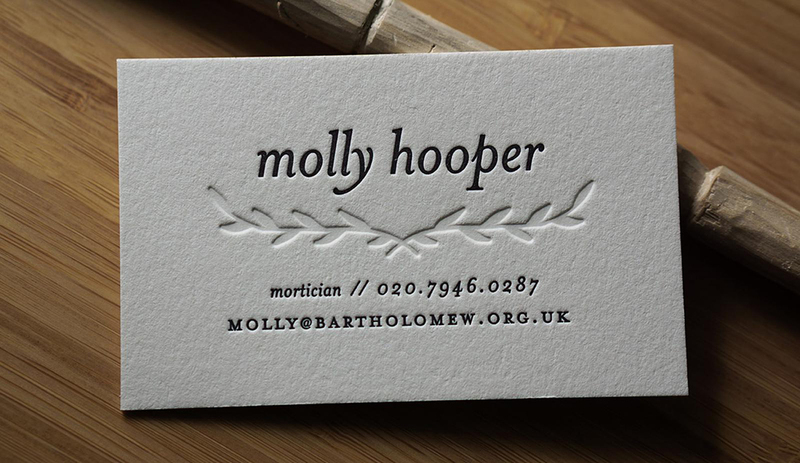 Each card is hand printed on one of their two beautifull letterpresses from the early 1900s. The calling card options from Hoban Cards are perfect for those who want a small set of high quality, memorable cards for important interactions. Visit Hoban Cards to checkout their layouts, including six new designs featuring hand lettered artwork by talented calligrapher, Sarah Barrett. Use discount code SWEET during checkout to receive $10 off your order. Our thanks to Hoban Cards for sponsoring the site this week!